Illustrated Portraits – Moore Design Co.
As a result of doing these Firefly posters, I find myself needing to draw people pretty frequently. I’m not too bad at drawing something that looks vaguely like a person, but drawing something that looks like a specific person… I could use some extra practice at that. I had a Rolling Stone laying around with this dude on the cover, so I used that and about four other photos Frankensteined together. I started with just a flat drawing (as I do with the Firefly posters), but I wanted to experiment with some texture I’ve been using on other projects. 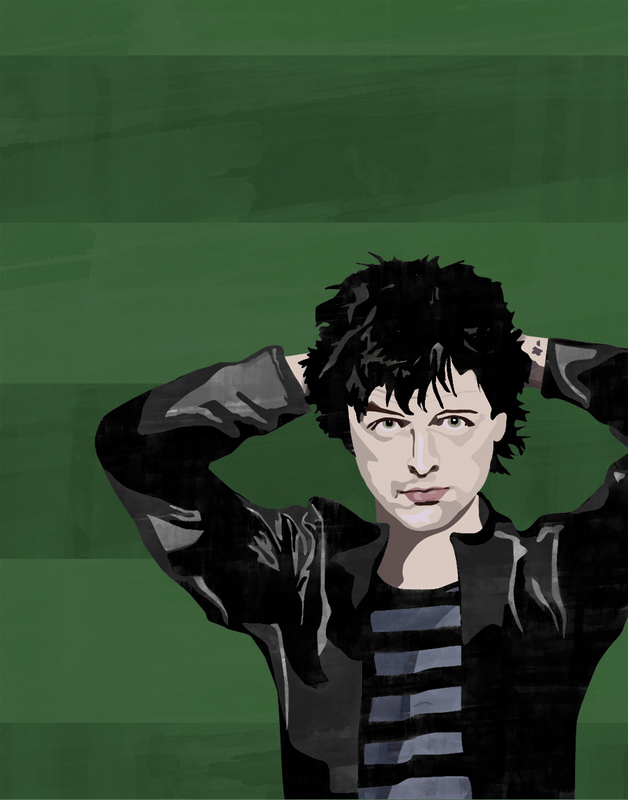 So now I have this illustrated portrait that is not at all stalkery, Mr. Armstrong, honest. I’m a big fan of your work, sir, please don’t call the police.